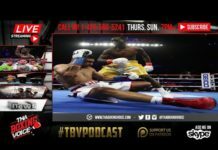 Another ON-Demand edition of ThaBoxingVoice brought to you by fellow TBV Family member Rodney. Who will be the next US star? Since Mayweather has been increasingly shying away from the sport as an athlete and elite competitor, the question of who will take that mantle-who will take that throne has come into the boxing debate for sometime now. 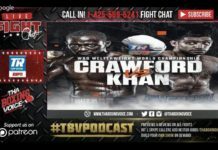 Is it someone who’s already a champion or established like an Errol Spence Jr, Deontay Wilder, or Jermall Charlo? Or is it a young prospect just beginning to make a name for themselves like a Ryan Garcia, Shakur Stevenson, or Devin Haney? 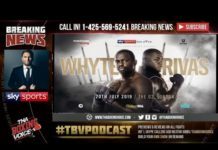 Call in and lets debate who will be the next US mega-star of boxing! Nestor “Nes” Gibbs, Matthew “The Hipster” Hunter, Alex “Doomsday” Lainez, Enrique “Casual Fan” Church, and Robert “Robbie Hearns” Wetherall will talk about today’s events with the TBV family.